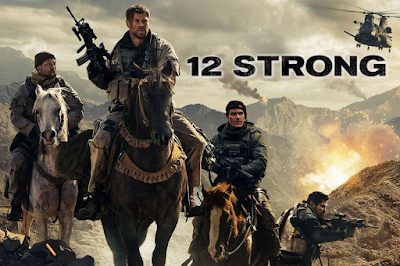 Nicolai Fuglsig, previously a photojournalist, has moved into the directing scene with his new film, ‘12 Strong’. The film, starring Liam Hemsworth and Michael Shannon, details one specific part of the aftermath of 9/11 that is probably less talked about than the obvious, and is based on a true story, though the story only came to light a few years back due to the events being classified. Captain Mitch Nelson (Hemsworth) is a US Army Captain who, upon 9/11 happening, is sent to Afghanistan to lead a Special Forces team of twelve men. He’s inexperienced but determined to see results, and the team is selected to fight alongside the Northern Alliance leader, General Dostum (Navid Negahban), and take over the city of Mazar-i-Shari in order to remove the threat of the Taliban leader. The plan is supposed to take six weeks but Nelson identifies that the weather will cause issues, meaning that in actual fact they have just three weeks to complete the operation. Fuglsig’s experience as a photojournalist, in particular within a war environment, is obvious from the moment Nelson’s team touch the ground. There’s an interestingly intimate feeling to the way it’s filmed which is somewhat unusual for an action-based war film, with a nice balance of all-encompassing landscape shots from afar and much more personal shots from within the action. It’s fairly gritty and doesn’t have that slickness to it that you might expect (though I’d say that’s more a good thing than a bad thing). There’s also quite a heavy Western theme, as one of the main issues the team encounters during their mission is the terrain, which means that the only way to get to the city is on horseback. While this is good to start off with it is overdone as we go through the film, and becomes almost a gimmick (picture: a team of American soldiers sauntering through the desert on horseback, dust in the air - all they needed was wheat in their mouths and tumbleweeds floating by in the distance). I did feel some other parts were quite cliché as well, mainly the sad family back at home, anxiously watching the news, and classic “important person critically injured during a climactic scene”. Of course, these things happen in real life, but sometimes it’s better for a film to put a different spin on it, rather than going for what we’ve already seen before. Despite that, it still felt original in the sense of the cinematography and the gripping combination of action and score. One thing I wish had been focused on more was the relationship between the characters - in particular, the rest of the team. There’s a good focus on the dynamic between Nelson and his comrades Spencer (Shannon) and Diller (Michael Peña), with Peña particularly standing out with his comical sense of humour. It’s also interesting to witness the tension between Nelson and Dostum, which I thought was done really well. However, we just don’t get a real sense of the others, who feel like they’re only there to fill in the blanks. I think a lot of people were upset when Studio Ghibli announced that they’d be reigning back on production. I myself have grown up with them, and the thought of not having new animations from them in my life makes me rather sad. Thankfully though, two seasoned Ghibli veterans, Hiromasa Yonebayashi and Yoshiaki Nishimura, have started a new production company, Studio Ponoc, so all is not lost, and hopefully, this means the Studio Ghibli spirit will continue on. 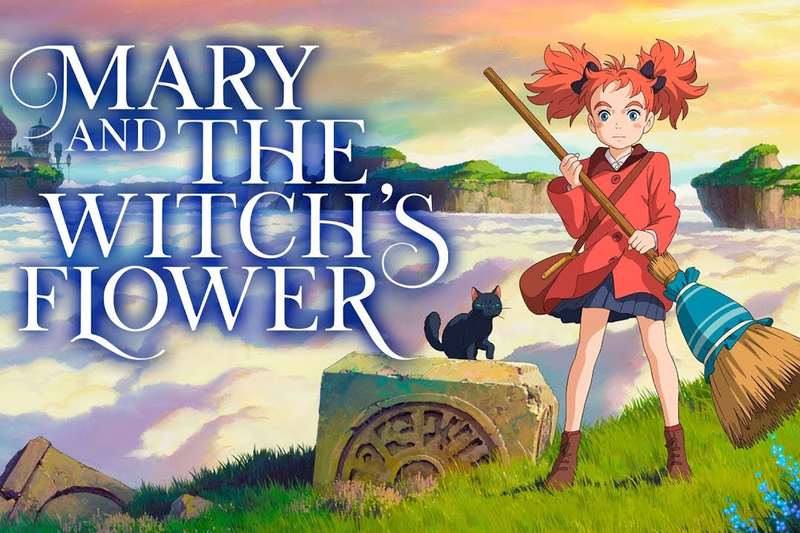 ‘Mary and the Witch's Flower’ is the first Studio Ponoc animation to be produced, and it’s a great start already. The story follows Mary (Hana Sugisaki), a clumsy child who has moved to her Great Aunt Charlotte’s house over the Summer. Her parents are not yet there, and she’s struggling to find things to do until her new school starts. Mary isn’t particularly confident, as she hates her red frizzy hair and always seems to leave a trail of destruction behind her from being so clumsy. Whilst on a picnic by herself Mary meets two cats, who lead her to a mysteriously beautiful flower. She takes it back home and then stumbles across a broomstick. The juice from the flower seems to give her powers, and without meaning to Mary finds herself flying towards Endor College, an institution for witches and wizards that is hiding something very dark within its walls. 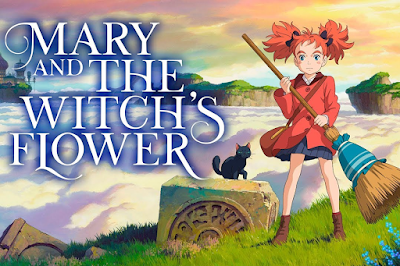 Unlike some other animations that Studio Ghibli have produced in the past, ‘Mary and the Witch's’ Flower’ has quite a fast-paced and adventurous feel to it, starting off straight away with a broomstick chase scene, and increasing in pace until it arrives at the crescendo at the end. It’s similar to ‘Howl’s Moving Castle’ in a way, with frequent changes between scenes and environments and a story where, if you so much as blink, you’ll miss important points. A big contrast to ‘When Marnie Was There’, the last Japanese animation I reviewed, but a welcome one. There’s also a big Harry Potter feel to it, especially when we finally see inside the walls of Endor College, the magical place within the clouds. There are many beautiful scenes in this part of the film, in particular as Mary explores the items of the world she never knew existed. Yūki Amami is quite sinister as Madame Mumblechook, and we immediately know that all is not as it seems. One thing I felt they could have focused on more was the relationship between Mary and her Great Aunt, and the backstory that comes with that. Once the action started we were pulled in, and there wasn’t much time to truly explore Mary’s past and the links between her and her family. 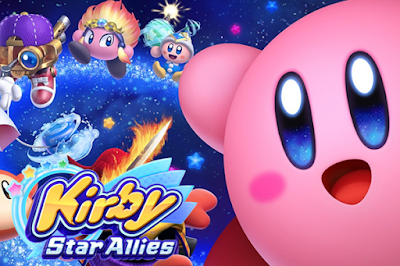 It wasn’t too much of an issue though, as the story was heavily focused on morality and the themes that come with that, as well as self-acceptance and finding one’s purpose. It was also beautifully animated with dashes of colour and magic along the way, making it highly entertaining to watch. I wouldn’t say ‘Mary and the Witch's Flower’ is the most original story as it’s clear to see where inspiration was drawn from, but it’s a heartwarming tale all the sign and a sign that the wonder and magic of Studio Ghibli will live on through Studio Ponoc. You can always trust Nintendo to go where no one else dares to, to traverse uncharted waters when other creators are just dipping their little toe in, but with the release of the Nintendo Labo, Nintendo might have just out-Nintendo-ed themselves. Have I said Nintendo enough yet? 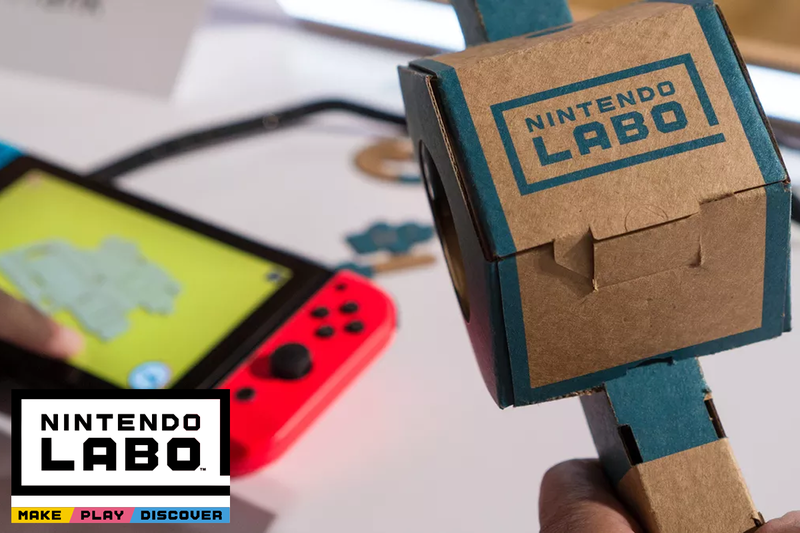 The Labo looks to combine video games with cardboard, of all things, in the most ambitious fusion of old and new tech arguably ever attempted in the medium. In the two available kits, the Robot Kit and the Variety Kit, you’re given flat pack perforated cardboard sheets, used to build ‘Toy-Cons’ that work alongside games on the console. In this regard, both kits are fairly similar, meaning I don’t have to write two reviews (result!). Will the Nintendo Labo be a pioneer in gaming, or prove to be as useless as a cardboard surfboard? Let’s unpack the details and find out. Firstly, the biggest accolade I can give the Labo is that it just works. Now, while this might sound a tad trite, with something as flat out bonkers as the Labo, it’s definitely worth a mention. Pretty much every ‘Toy-Con’ performs as if it were made of a more robust material, with intuitive controls and satisfying mechanics. The piano and fishing games are prime examples of this in action; I defy anyone to try either without developing a broadening grin. What’s more, as fun as picking the Labo up is for an adult, it’s tenfold for children - the game’s target audience. Combining the real world, tangible creativity found in Lego (or Mega Bloxx if your parents didn’t love you) with the modern appeal of video games has never been done on such a scale before and consequently offers something you can’t find in digital sandboxes such as Minecraft. And while you might not be able to lovingly recreate the ‘Steamed Hams’ sketch from The Simpsons like you can in Minecraft, the Labo does allow the more creative types to design their own homemade creations using its software. With little more than a month elapsing since its release, some clever sausage has already designed their own Game & Watch game and is a strong indicator that these ‘IRL mods’ will breathe life into the Labo for years to come. With that being said, like Caesar himself, Nintendo Labo’s ambition is also its downfall. This is most evident in its very limited replayability throughout both kits. The Variety Kit is essentially 5 tech demos, all of which play well, but after an hour or so you’ll be more than happy to put them down. Being the slightly more expensive of the two offerings, The Robot Kit does offer slightly more depth and interesting gameplay, yet even this would struggle to fill the gap between Christmas and New Year’s. And rather cynically, it’s a good job the games don’t last for very long, as the Toy-Cons sure don’t. Even the most delicate of hands will struggle to get more than a month’s worth of excessive use out of each, and with the cheapest kit setting you back £60, the Labo can quickly become an expensive hobby. Nintendo have remained relevant in the gaming industry through brute force innovation, and their hits vastly outweigh their misses. Yet the Nintendo Labo is unique in that it currently sits in a state of critical limbo, in which its pros and cons are finely balanced. As a first iteration, it’s mightily impressive, if a little shallow, and with the potential of homemade creations keeping it relevant, there could be a bright future for the Labo brand. 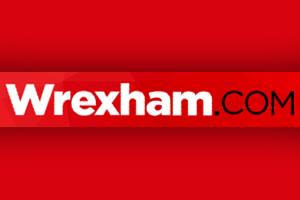 Wrexham.com Celebrates 10 years of CeX! The lovely people over at Wrexham.com helped us celebrate 10 years in Wrexham and the relocation of our store with this glowing article! ‘Revolutionary recycling retailer’ CeX is about to celebrate 10 years of serving the people of Wrexham, and has decided to salute the achievement by moving to a more ‘prominent location’ on 10 Hope Street. The Galaxy S9 & S9+ launched shortly after being displayed at the MWC earlier this year with similar pricing as last year’s flagship S8. Samsung also made sure this time there were enough differences in the 2 models like Apple (and unlike Google) which is not something I personally like because it says the bigger / larger model is more a full spec’d flagship than the base. The design stays the same glass and metal combo but just looks like a better version of last year’s S8 with smoother curves and edges and an almost bezel-less screen. The S9 has a 5.8” display while the S9+ is a 6.2” with Super AMOLED panels and 18.5:9 aspect ratio. The fingerprint sensor has finally managed to settle down under the camera rather than the side. There’s always been a heart rate sensor next to the lens for a few years if you didn’t know! The Bixby button is still there and besides increased understanding of your voice commands it’s upgraded itself with new languages (live translations) and the camera helps you identify how many carbs and fats your meal contain (you really don’t wanna know!). The phone is available in 4 colours: Lilac Purple, Midnight Black, Titanium Grey & Coral Blue, while the S9 has 4GB of RAM, the S9+ has 6GB and both have a minimum of 64Gb storage space which can go up to 256Gb plus a micro-SD card slot that can support upto 100 Blu Ray movies (if that’s your thing...). Both phones are also water and dust resistant so you can take them for a swim up to 30 minutes. You get Oreo out of the box and Samsung’s own Experience 9 UI skin on top which is now faster than ever and with less bloatware than ever! With tons of customisation options and Always On display you’ll never get bored of it. Iris Scanner and face recognition have been in Android devices for ages and here the accuracy increases so your face is recognised even if you have a beard. In case it fails you still have the fingerprint sensor (Insert Apple iPhone X joke here). 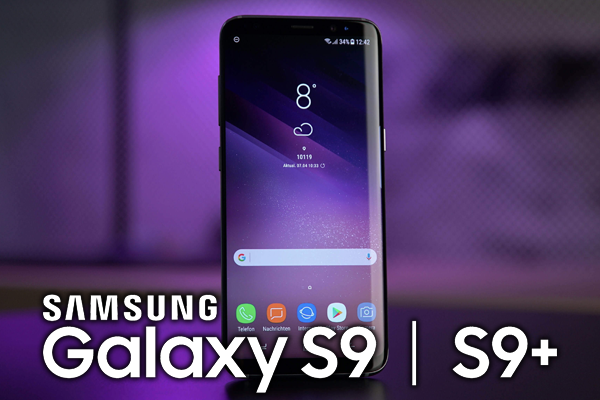 In terms of performance and multimedia management there’s nothing the S9 & S9+ can’t do. You can throw the heaviest of files, videos or games at it and it’ll score like Ronaldo in each and every one of them. Coming on to the camera or cameras (in case of the S9+ that is) which the company has been raving about for ages, which has the first ever dual aperture lens. The lens actually opens and closes physically when you change the aperture before clicking a picture either to capture brighter images in low light or to have the bokeh/background blur effects (along with the second camera). Overall the S9+ (and the Samsung Note 8) have the best cameras on any phone right now and can give the iPhone X a run for its money. The other most hyped feature is the super slow-mo @ 960fps which Sony has done in the past and Samsung does get pretty close to. Front cameras are 8MP which do a decent job but not close to the Pixel 2 yet. There’s also an AR Emoji feature which I rather not talk about. They are a low budget copy of the Animojis and that is that. If you own the S8 or S8+, ignore the S9 / S9+. If you need a better camera to replace any older phones go for it if you have the budget. Personally, I’ll wait for the Huawei P20 Pro launching with 3 cameras!